Undoubtedly one of the world’s most famous women, Maria Callas took her last breath at her apartment in Paris on September 16, 1977. At the mere age of 53, the opera icon died of a heart attack. 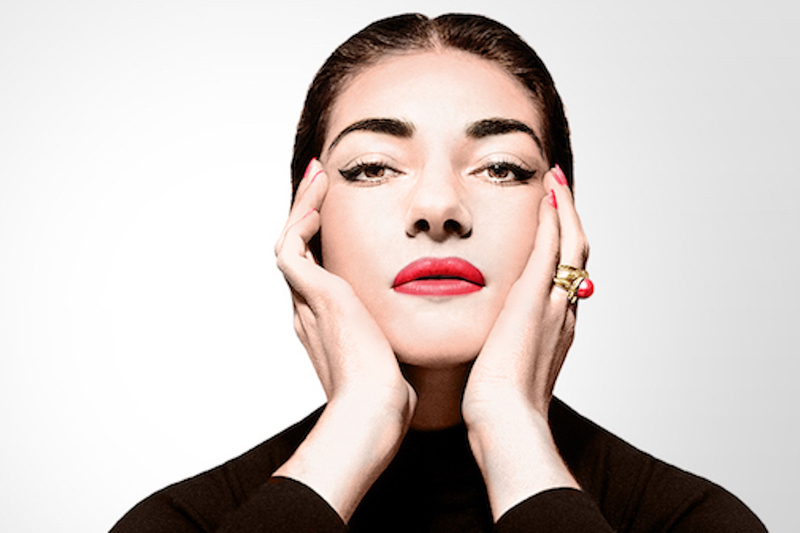 Callas’ amazing life and career have been the subjects of dozens of official and unofficial biographies and documentaries; furthermore, her music remains relevant today, with Warner Classics releasing a groundbreaking collection of her entire musical works in 2014. Callas was born to a Greek family in New York in 1923. Her vocal training took place in Athens, where her teacher was the coloratura soprano Elvira de Hidalgo, who had sung with Enrico Caruso and Feodor Chaliapin. After early performances in Greece, Callas’ international career launched in 1947 when she performed the title role in Ponchielli’s “La Gioconda” at the Arena di Verona in Italy. Her voice defied simple classification and her artistic range was extraordinary. In her early 20’s she sang heavy dramatic roles such as Gioconda, Turandot, Brünnhilde and Isolde, but overall her most famous roles came to be: Bellini’s Norma and Amina (La sonnambula); Verdi’s Violetta (La Traviata); Donizetti’s Lucia di Lammermoor and Anna Bolena, Cherubini’s Medea and Puccini’s Tosca. Though her timbre was not always conventionally beautiful, Callas’ musicianship and phrasing were in a class of their own. She brought characters to vivid life with her skill in coloring her tone and making insightful use of the text. She is credited with changing the history of opera by placing perhaps an unprecedented emphasis on musical integrity and dramatic truth, and by transforming perceptions — and reviving the fortunes — of the bel canto repertoire, particularly Bellini and Donizetti. The 1950s marked the height of Callas’ career. Its base lay in the opera houses of Italy, and she became the prima donna assoluta of Milan’s legendary La Scala — notably in the productions of Luchino Visconti – but her operatic appearances also encompassed London’s Royal Opera House, the New York Metropolitan Opera, Paris Opéra, the Vienna State Opera, and the opera houses of Chicago, Dallas, Houston, Lisbon, and, in the early 1950s, Mexico City, São Paolo and Rio de Janeiro. From 1959, when she started a life-changing love affair with Greek shipping magnate Aristotle Onassis, her performing career slowed down and her voice became more fragile. She performed for the final time in 1965, when she was only 42. There were many plans for Callas’ return to the stage and for further complete recordings, but they never reached fruition; however, in 1974 she gave a series of concerts in Europe, North America and Japan with the tenor Giuseppe di Stefano. Di Stefano had partnered with Callas frequently in the opera house and in the studio, perhaps most notably in 1953 La Scala Tosca under Victor de Sabata, considered a landmark in recording history. Watch a stunning animated tribute to Callas’ life created by Warner Classics.